Now, for just $90 (that's just ten payments of under $10) you can regrow the hair on top of your head (or anywhere else!). Japanese scientists have discovered that the root of all hair loss is the clogged hair pathways in your skin. 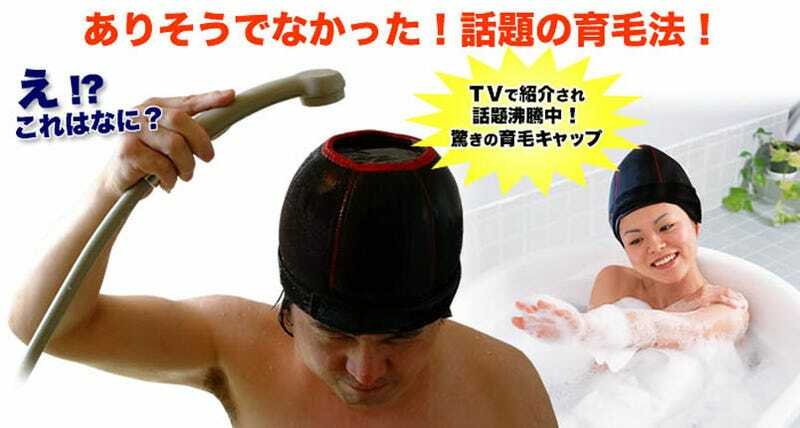 This uniquely engineered rubber shower cap captures shower water in such a way that it steams your scalp, allowing hair through.